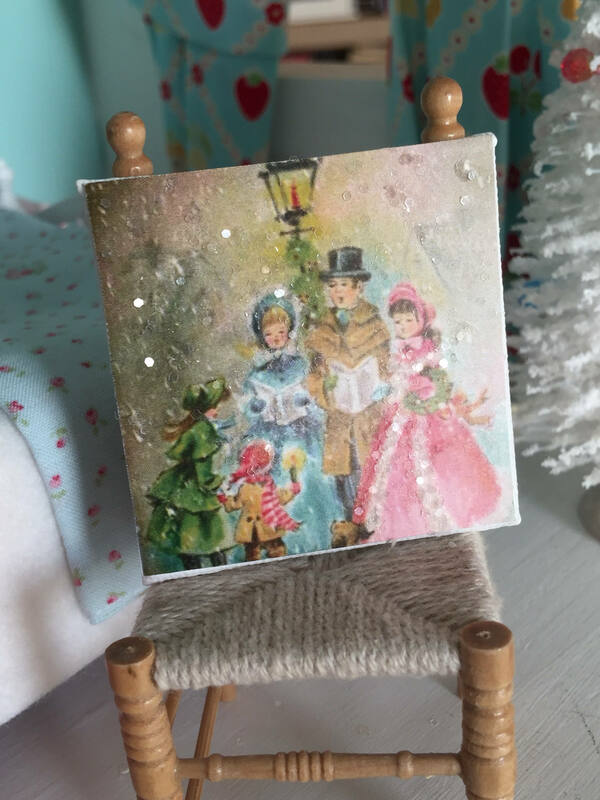 Pastel Christmas Carolers Art Sign Canvas 2" x 2"
Love this old style vintage look Christmas carolers dressed in Pastels. 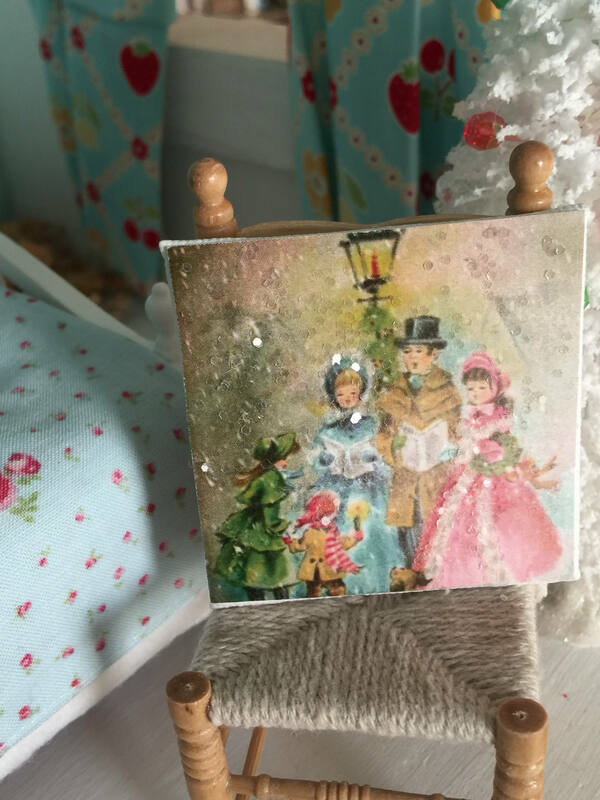 Where the fur and snow is in the graphic I added snow glitter with a tiny paint brush. It looks amazing close up. 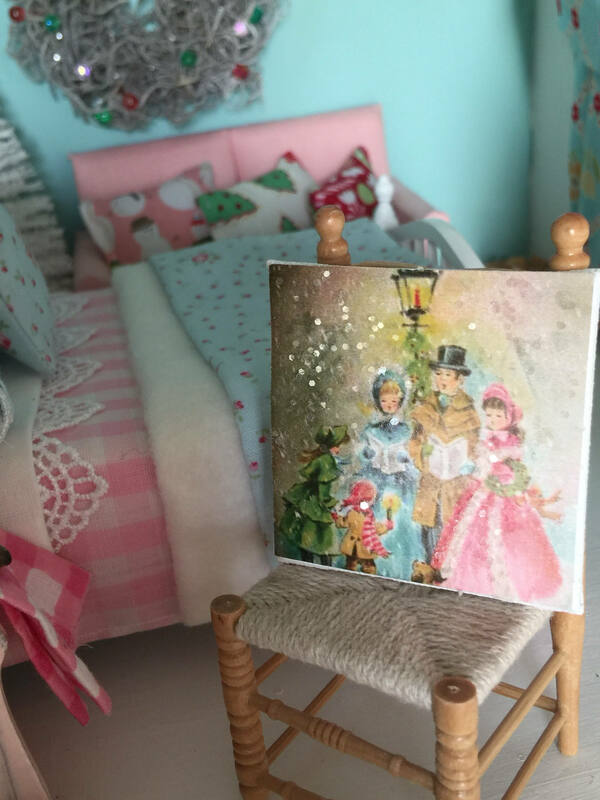 The graphic is adhered to artist canvas and then embellished with snow glitter. Lovely picture, well made. And a great seller! I just ordered something else from her. She ships quickly and packs carefully. I highly recommend her. 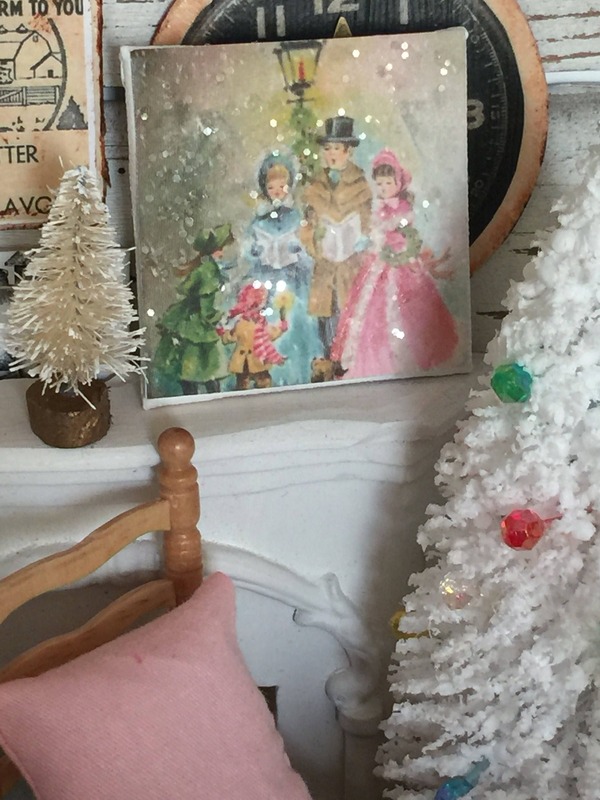 Just beautiful...love the vintage scene and sparkle. Thank you. God Bless!